Kakteen Südamerika 3: 962 (1980). Altitude: At about 900 meters above sea level. Description: Eriosyce curvispina var. 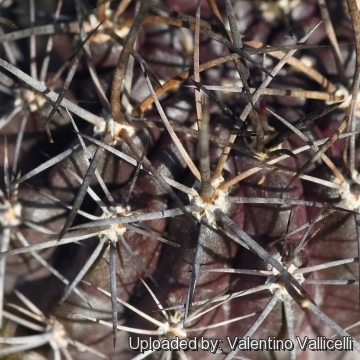 pamaensis|SN|18417]] firstly described as Pyrrhocactus pamaensis by F. Ritter is considered none other than a local or morphological form of Eriosyce curvispina, which is one of the most variable taxon in appearance. In fact, there are a number of varieties that are very different-looking, but not all the authorities recognize the different populations as segregate varieties). The var. 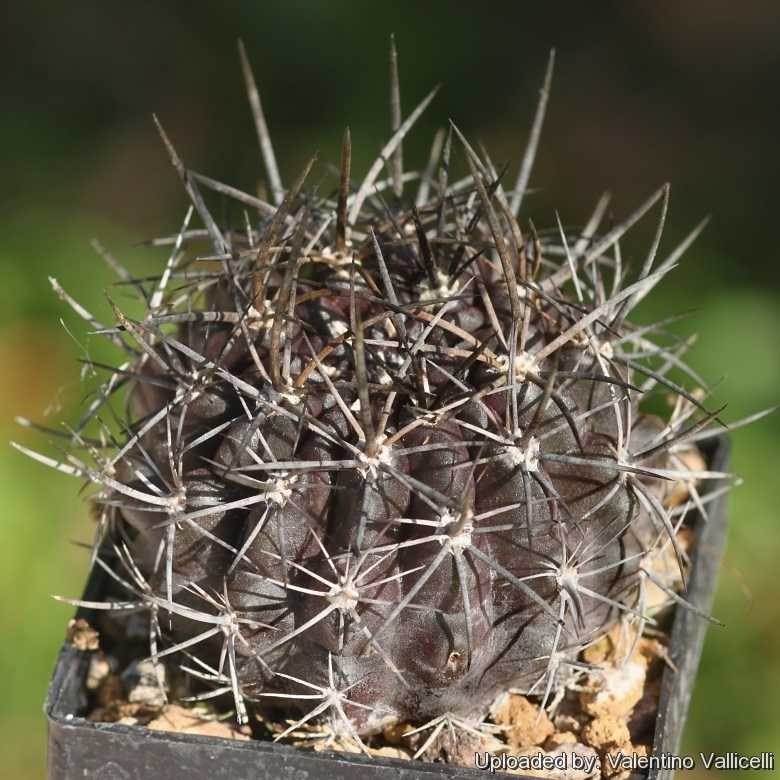 pamaensis is distinguished by very dark purple-black stems with brownish-black or dull grey spines. Stem: Subglobose or globose, sometime elongate (especially in cultivation), 8-20 cm across, very dark greyish-green to purple-black, often with naked or with few spines at the top. Ribs: 14-24, noticeably notched with chinlike protrusions. Flowers: Flowers are about 3-5,5 cm long and broad, broadly funnel-form, yellowish-green, dull-yellow or yellow with reddish-brown midveins or reddish.